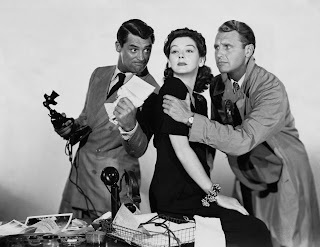 His Girl Friday: Every time I watch it, I start considering becoming a reporter. Because, of course, my boss will be Cary Grant and suddenly I'll start speaking the fastest dialogue in motion picture history. Isn't that enough incentive for anybody? 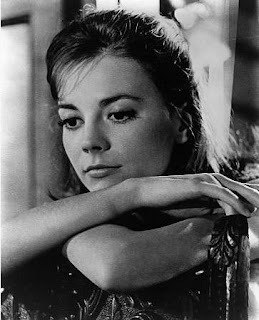 Bringing up Baby: This one makes me want to be a nut al a Susan Vance. Blondes don't have more fun, nuts do! 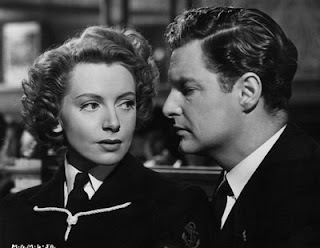 Vacation from Marriage: This is a less well-known movie about a dowdy British couple that joins the armed forces during WWII and undergoes miraculous transformations. At the end of the war, each remember only how the other was before and decide before they reunite that they should get a divorce. Then they meet each other. Doesn't just the plot make you want to join the army? Even if it wasn't portrayed almost like a finishing school? A Place in the Sun: The theme "Men kill for pretty women" is one of many reasons to avoid this depressing fare. 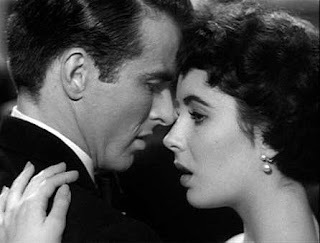 I didn't think Shelley Winters was all that bad looking, but there is a distinct feeling to this film that unless you're Elizabeth Taylor, you're nobody. This is the "make yourself want to be a perfect beauty" film. Since in most cases there isn't much you can do about that, it get's classified as a depressant. A strong depressant. Splendor in the Grass: The perfect film to convince you your eyes are too small. 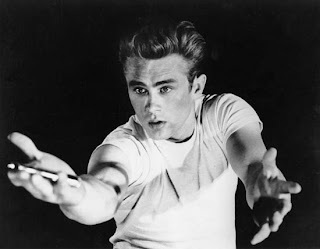 Rebel Without a Cause: It makes you want to be a rebellious, victimized teenager. Judging by the stories of teenagers after its release, the effect is somewhat universal. Luckily, the plot of the film is good at convincing you you have a great life. Breakfast at Tiffany's: The best advertising for New York ever! And who doesn't want to be Holly Golightly at some point in time? Which ones do it for you?? I was laughing out loud at each description. About the new "eyes" poll (actually my next poll was gonna be that, so you've stolen it from my brain...;-D): You have some great choices...and a few I could do without (;-D). I voted for Audrey's, but Ava was number two. @Kate Gabrielle: Thank you! People try to convince me I'm deluded all the time, and I guess I know they're right, but I just can't make myself believe it. I know how you feel. It seems like somewhere, it's real. Bringing Up Baby is hysterical! I also love It Happened One Night :) Not to mention every Audrey Hepburn movie.... my favorites are Two For The Road, Sabrina, Roman Holiday (of course) and Paris When It Sizzles. You will soon realize! I am invincible! Sooner or later I will get through to you! 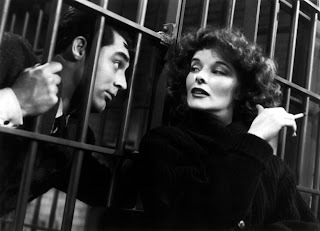 If you like "Bringing Up Baby," you'll love "My Man Godfrey."